The budget will accelerate growth. It is a very innovative one and it takes care of the vulnerable sections, said Home Minister Rajnath Singh. 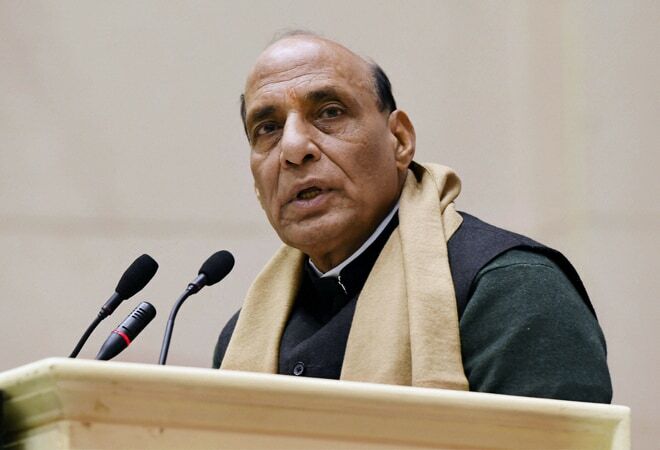 Union Home Minister Rajnath Singh said on Saturday that the budget proposals for 2015-16 presented by Finance Minister Arun Jaitley in Parliament were pro-farmer and pro-poor. "The discussion to alleviate poverty and employment had taken place lot of times, but nothing has been done ever practically. This budget is extremely appreciable. This budget is pro-farmer and pro-poor," he told ANI. Union Parliamentary Affairs Minister M.Venkaiah Naidu said the budget was an innovative one, and by and large, the public would be happy about the announcements made by Finance Minister Jaitley. "The budget will accelerate growth. It is a very innovative one and people will be very happy. It takes care of the vulnerable sections. 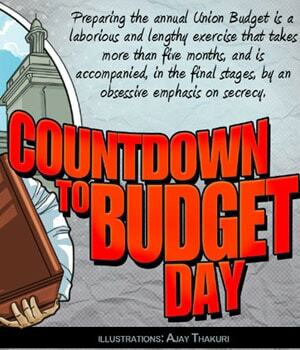 I am feeling very happy for the budget. 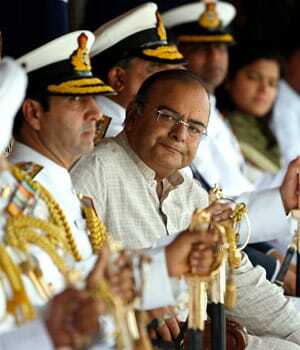 Growth and welfare are the two milestones of this Budget," he said. Congress leader Shashi Tharoor, however, said, "Unless we see concrete results, we cannot say anything. I see this as a corporate-friendly budget.Just by announcing a new education institution is not the solution unless it is implemented." Another Congress leader and former union minister M.Veerappa Moily said, "It was like a railway Budget,but the railway budget had honesty to confess.They (NDA Government) have not presented what they have done in nine months.There should be an indication what they are going to do. There should be more reforms for farmers and in the agriculture sector. 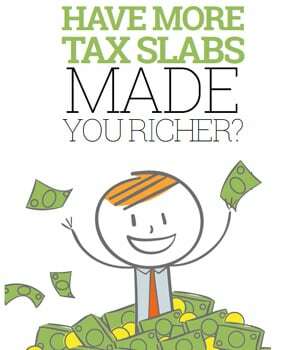 This Budget helps only big industrialists and corporates." 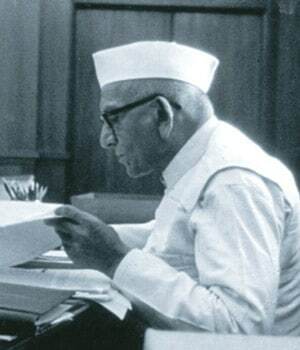 Congress leader P.C. Chacko said the budget was lacking in innovative ideas. "Research should be encouraged, without research, "Make in India" will not be a success," he said. 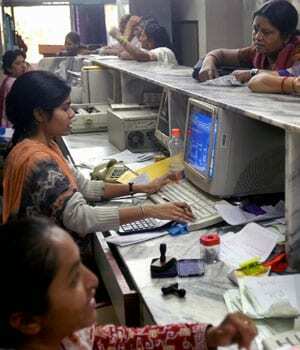 "The electronic transfer for welfare was the idea of the UPA Government. The finance minister should acknowledge this and give credit to the UPA Government for this," he added. Chacko further accused the NDA Government of always favouring the the corporates, and added that allocation in many sectors was imbalanced. Janata Dal United leader Sharad Yadav said, "Their slogan is "Look East"," in an apparent reference to the government's focus on handing out doles to people in Bihar, which will have assembly elections later this year. "This budget has a lot of things for agriculture. It was also been said before," Yadav said. He, however, said that he was expecting the government to ensure a greater contribution on water management, and lamented the reduced funding for social schemes. He also that the government should have mentioned what steps it was taking to bring back black money stashed away by Indians abroad. Congress leader Ambika Soni said, "What is the benefit of this type of budget?" Union Agriculture Minister Radha Mohan Singh said, "This is the first time that a Budget has been aimed at benefitting the poor farmers. For example, under the Prime Minister's Gram Sadak Yojna, Rs 3000 crores has been allocated for roads in the country." Apna Dal leader Anupriya Patel welcomed the budget's focus on the social sector. "The social sector will get an impetus from this budget," she said. Congress MLA from Silchar Sushmita Dev said, "The Nirbhaya Fund needs to be evaluated at all stages."